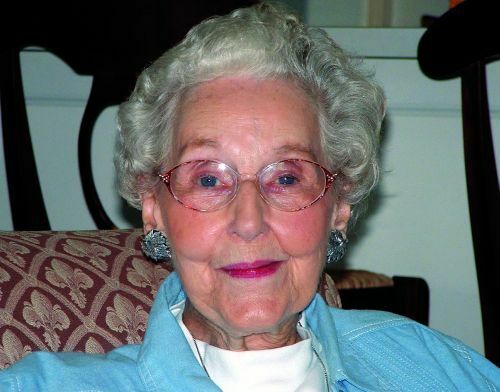 Grace Hooten Moore, a 1938 Brenau graduate who in 1974 became the first woman to serve as chair of the university´s board of trustees, died Wednesday, Aug. 22. She was 95. A celebration of life service will be at 4 p.m. Saturday, Aug. 25, at Gainesville First United Methodist Church. Rev. Dr. Terry Walton and Dr. Don Harp will officiate. The family will receive friends after the service in the church Great Room. Interment will be in Alta Vista Cemetery. In addition to sons Jim and Walton, also of Gainesville, she is survived by her three daughters, Dixie Harris of Raleigh, N.C., June Boggs of Wilton, Conn., and Jean Young of Atlanta; 12 grandchildren; and 13 great-grandchildren. The family requests that memorials be made to Gainesville First United Methodist Church, Brenau University or a charity of choice. Previous PostPrevious Location: Planet Earth. Fine. But where EXACTLY is that broken AC vent?